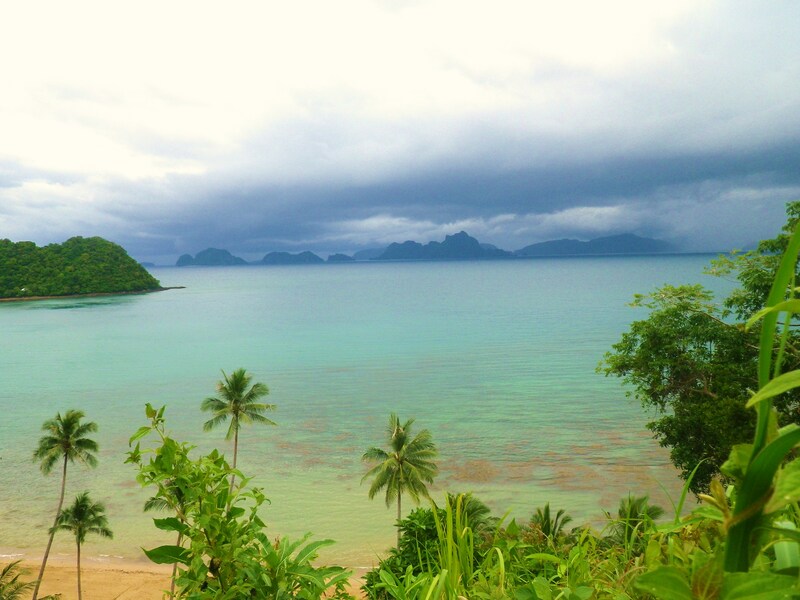 A view overlooking Orange Beach, near the town of El Nido, in the island of Palawan in the Philippines. 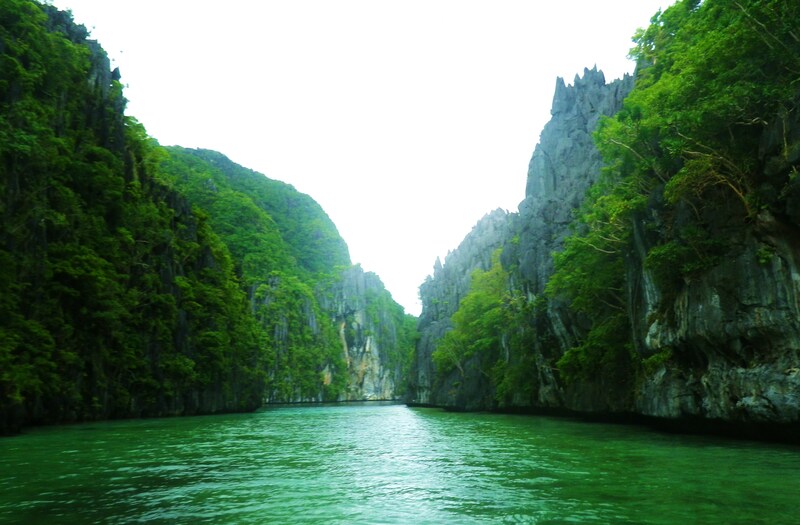 Palawan is truly a wondrous place. This elongated island that stretches to the southwest from just off the coast of the Philippines’ largest island, Luzon, is pretty much untouched by the generic throng of tourists who mostly favor such commercialized getaways as Boracay and Subic. 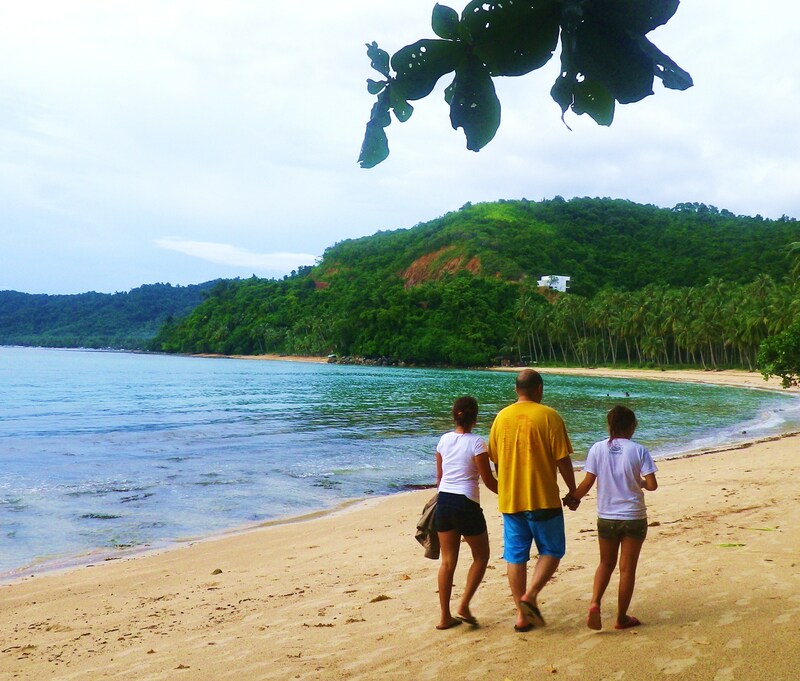 Something that is really remarkable about Palawan is its vibe. Setting foot there during my last trip to the Philippine archipelago some weeks ago, I quickly noticed that there is still a very primal and adventurous aura that the place gives off. Few places I have ever been to have given me that impression. I smell excitement in its fresh air. Palawan, home to about 25% of all species of animals in the Philippines, is a clean island with little-to-no crime. The people are friendly, hospitable, honest and acclimated to foreign visitors. 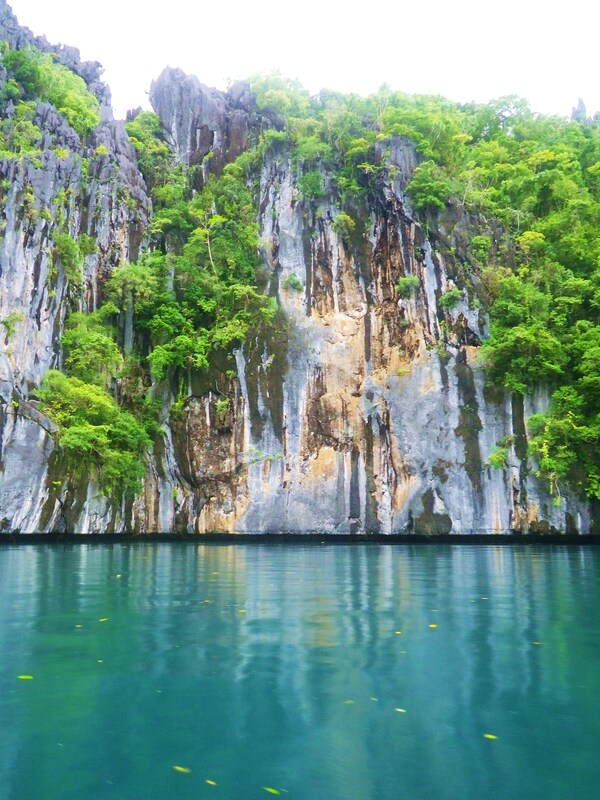 There is also a very nature-loving culture in Palawan. Illegal logging and illegal fishing are successfully prevented. Littering is strictly prohibited and in certain parts of the island, so is smoking. In my opinion, Californians, Canadians and Europeans as well as any other environmentalists or adventurers would absolutely love it here. And so began my memorable trek. Luckily my good buddy, NWA, was on board, as were a couple of female friends we brought with us. Once we deplaned at the small, rural airport in Puerto Princesa (PP), arguably the most developed town in Palawan (after all, it is the provincial capitol) we walked to the terminal and collected our belongings. Tourists will find that they will immediately encounter stalls promoting the different tour packages available which are run by different tour agencies. We decided that since a fraternity brother of ours, a local who grew up in the island province, was unavailable to meet with us in PP due to the flu season bug floating around at the time, that we’d spend the first few days in Palawan at one of the most northern towns in the island, called El Nido (EN). When one hears of EN, it is usually spoken with hushed, reverent tones. A place of beauty. Sights that spur wanderlust. It is here that the beaches of legend inspired the author, Alex Garland, to write his novel “The Beach” as seen in the film of the same name starring Leonardo DiCaprio. More recently, the film “Bourne Legacy” was shot and filmed in the islands near EN. I was excited to finally see the place for myself. And so I did. You can fly there directly from Manila. Not recommended, as it can be comparatively expensive. At around 7000.00 to 12,000.00 Philippine Pesos (Php) for a one way flight, depending on the season, it can’t compare to the deal we got from Cebu Pacific Airlines 690.00 Php (plus taxes and fees) for a one way flight to PP. Island Hopping by boat. Again, not recommended, the boats are probably not the type of boats you are hoping for. It will be smaller and flimsier than what you are imagining and the boat ride will take you hours on end. Only do this if you are a die hard adventurer. Take an air-conditioned shuttle van or a bus from PP that will clock about 5 to 6 hours over a winding, crooked, bumpy ride. Emphasis on bumpy. One thing about taking a trip to the Philippines that you’ll want to remember (and also in most similar countries) is that it’s okay to haggle. Ask for 10-25% discounts. No one will judge you harshly for simply asking and peddlers will typically pad up the prices in anticipation of being bargained down. Being somewhat financially savvy, I discreetly went from stall to stall at the airport and got the tour operators to out bid each other. What should have normally been a 700.00 Php shuttle van ride per person to EN, ended up costing us 600.00 Php instead. The second leg of the trip was a lot more bumpy. The paved roads gave way to soil and rock and they were much more unforgiving. Remember what I said? Primal. I now understood why mainstream tourists have not poured into these western islands en masse. Further efficient development is necessary to make the towns more accessible and less rough on the travelers. Heck, the German guy traveling with us had to stop the van in order to hurl his road-sickness away as his Filipina girlfriend pat him encouragingly on the back by the roadside. That said, the experience gave me new respect for the people who *have* been to EN and made it back. It was a hard road getting to EN. Waaay off the beaten path. When the poor German guy finally felt a bit better, we continued on. I wasn’t feeling too well myself. Not because of the road-sickness… rather, I was starting to get feverish off the flu season that was sweeping through the country. Luckily, NWA was in a more social mood and chatted up the Filipino couple next to us. Oliver and his young wife, Rose, would later on share some of our EN adventure. As we neared EN, Oliver had mentioned that they planned to stay at a modest hostel called the Sands Inn. Rooms there would only cost them 1200.00 Php for a non air-conditioned room for two. NWA and I looked at each other and nodded. There was something about this couple that seemed very agreeable to us. Oliver gave off an experienced man’s air. Probably in his early 40’s, he was well built and spoke with a calm, learned demeanour. His lovely young wife must have easily been half his age and was also very easy to talk to. These easy-going people are ‘one of us,’ we decided. We agreed to go along and stay at the Sands Inn as well. We rode a tricycle to town. It was dark. So dark that I didn’t realize we were already in the midst of town when the driver dropped us off in front of the Inn. Stepping out of the rain, the Innkeeper, a kindly old lady greeted us with a candle lamp. Apparently, there was a power outage. At first, I thought because of the storm but later learned that in EN, electricity is cut off on purpose during a set time in the wee hours of the night. A scheduled brown-out, she called it. It made no sense for us then to book an air-conditioned room only to be left in the heat and without power at night. Our room ended up costing 1600.00 Php for the four of us. NWA crashed dead-tired on one bed to the side modest room. As for myself, I sweated off my fever on the bottom bunk of our double-decker bed. The two friends with us, Weng and Lovelly, tended to me that night. It warms my heart that Filipina women are so compassionate and caring. Lovelly went to the store and purchased some cold medicine, while little Weng made me some warm tea. I felt much better in the morning. When the storm passed, so did my fever, it seemed. I woke up to this view from the hostel balcony. Everyone should wake up to this view, at least once in a while. We spent the first day in EN just relaxing. Oliver and Rose had disappeared, kayaking off somewhere. The German guy and his girlfriend were apparently staying at our Inn as well. He was looking much better, breathing in the salty sea air and marveling over the same view as I was. Later on, when NWA woke up (that lazy bum…) we walked around town for a bit. Looked at some souvenirs. I bought some purple pearls for a friend back home who was all about the colour purple. We had an unremarkable lunch at a nearby eatery. One thing I noticed here, was there were a lot of foreigners backpacking across town even during the off-season. 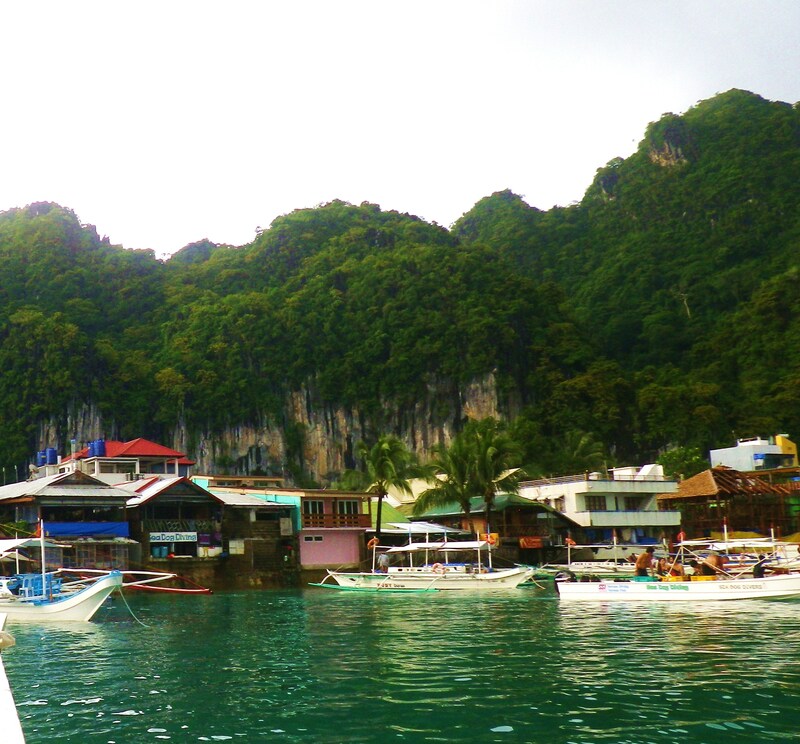 El Nido itself is not all that big. You can walk from one end of town to the other in about an hour. There is a airstrip nearby for small chartered planes and a single small pier that docks boats from the town of Coron, located at an island to the north. With NWA as the camera man, the girls and I went to explore Orange Beach, about 5 km outside town. We had to take a tricycle ride to get there and hike down a dirt path. The beach, unlike the one at the coast of EN was unbesmirched by any boats. Though there were a few houses here and there and a modest resort nearby, the area was pretty secluded for the most part and made for a relaxing beach-walk. The rains were on and off that day. We took a brief respite from the downpour at an unused hut along the shore. Not fifteen minutes later, the hard rain stopped and we continued along. NWA and I, the old farts that we are, stopped at the resort and took a coffee break while the girls set off to explore the stony shoals, looking at starfishes and shells. This was the life, I remember thinking. Taking all the time that day to do absolutely nothing was enjoyable. The fast paced life, a world away in the US, was but a distant memory. Doubtlessly, the French tourists sipping on their coffee next to us were thinking something quite similar. C’est la vie. We headed back as the sun went down. Seeing Oliver and Rose back at the Sands Inn, we invited them to dinner. As we had no particular place in mind yet… we walked along the beach-side of town and saw a ‘resto-bar’ that had tables along the shore, complete with tiki torches. Bingo. Particular place found. We feasted on fish and meat and beer and having discovered that Rose was celebrating her birthday, we got even more liquored up! We could hear the chatter of Americans, Europeans, Australians and Filipinos in the background. Later, live music was put on by the local band. The night drifted on slowly. Next thing you know, we were relaxing at a hookah bar right next door. It’s evenings like these that melt all the stress away. Suitably having elevated my blood alcohol level, I drifted off as the girls helped lay me to bed. I was up early next morning. The old lady Innkeeper had a boat ready for us to take on one of the 4 tour packages… Tour A, B, C, and D as has been standardized by provincial government of Palawan, in order to have a single price point across the board for all tour guide services. This would keep boat operators from having to out do each other. On the positive, it also provides funds to license and train operators in first aid, historical knowledge of the tour sites, and environmental protection of the coral reefs. Not having any experience here, we took Tour A, which was a whole day island hopping boat ride to visit the Big Lagoon, Small Lagoon, Secret Lagoon, Shimizu Island and the Seven Commandos Beach. 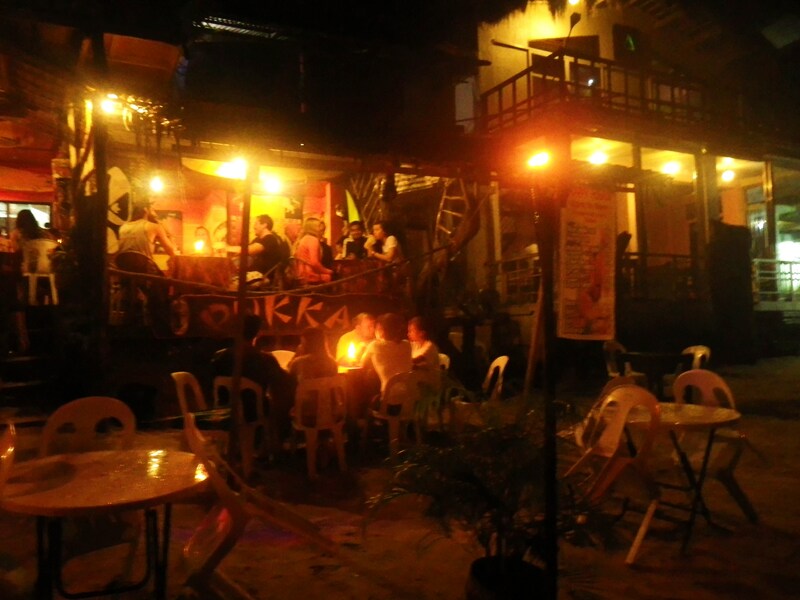 The tours range from 700.00 Php per person to 900.00 Php, depending on which of the 4 you choose. In addition there is a 200.00 Php per person environmental tax. No negotiating these fees, unfortunately. 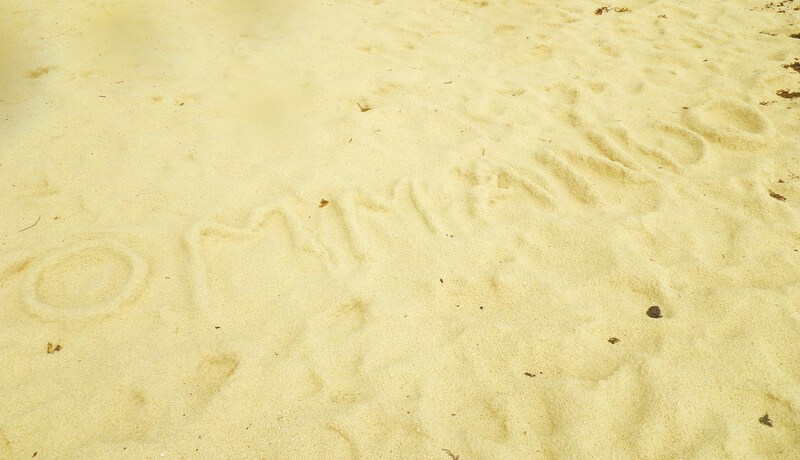 As for the other tour options, I heard that Tour C was highly recommended and included a visit to a Secret Beach. Tour B was mostly cave sites and Tour D was somewhat lackluster. So, when you get here… try A or C.
The boat ride to the tour site took about an hour… There were seven of us on the tour. Myself along with NWA, the girls, Oliver and Rose and a new comer as well, a British National who looked Indian to me, checked into the Inn the night before. A wide open pool awaits at the end of the Big Lagoon water way. They say that the lagoons in the area used to be caves hundreds of years ago. When the ceiling of the caves collapsed, presumably due to the volcanic activity of Pacific Ring of Fire, lagoons like these were formed. Upon reaching the next site, Small Lagoon, the boat operators allowed us to swim with life preservers. We explored mini caves and swam around the turquoise waters of the lagoon. One of the guides mentioned that the water was even clearer than we were seeing during the summer, when there are no rains or currents to disturb the white sand below. 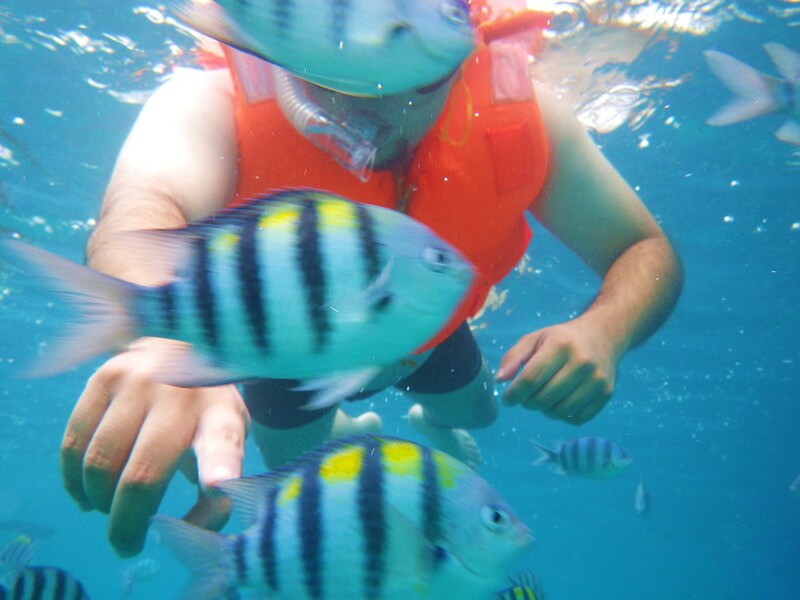 At Shimizu Island, we snorkeled amongst the schools of fishes. Our boat operators found us a little cove that would be suitable for cooking lunch. Earlier that day, before leaving EN, the old Innkeeper gave our tour guides some fresh fish, squid, and pork chops as well as tons of rice, veggies and fruits all packed safely within the boat. They then grilled us up a sumptuous feast which we proceeded to destroy! 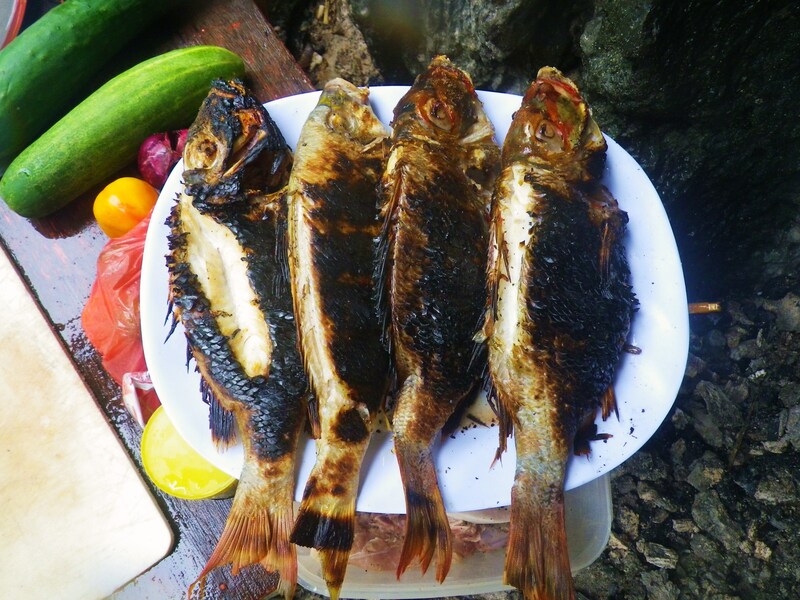 What better way to experience the trip than to eat fresh, natural food at a deserted white sand beach. We all ate heartily. Oliver, the Brit and I got into an investments and travelling conversation. Apparently, the Brit made a lot of money in the banking trade which afforded him the chance to travel freely. I admit I was jealous that he’s seen quite a bit of the world. Everybody else probably found our intense currency discussion very boring as they scattered to the winds. Rose was taking a dip in the beach and NWA was playing photographer to the two girls modeling around the stunning cove. The last stop after having our filling lunch, was the 7 Commandos beach. Not terribly far from EN, this beach was so named after 7 Japanese commandos who held out in the jungles long after World War II was won by the Allies. Much of the area has been fenced off, presumably by whoever purchased the land, however, the beach is still accessible to the public. There is even a store nearby if you want to sip on coconuts while sun bathing. Sadly, we didn’t have a lot of time and there was still much more of Palawan to explore. Near sundown, we cut through the waves back to EN. That day on the islands and among the fishes will be a day I’ll always remember. I wish I was back there even now. Once back, we quickly packed our bags. But there was still a bit of time afterwards for dinner before our shuttle was scheduled to depart EN. So, we invited Oliver and Rose to a farewell dinner. We had to leave soon, but they still had a few days to spend in town. We dined at La Chupetta, a very simple Italian resto-bar serving perfectly al dente pasta. We then wished our new friends good luck and safe journeys and went our separate ways. The road back to Puerto Princesa wasn’t as bad as I remembered. 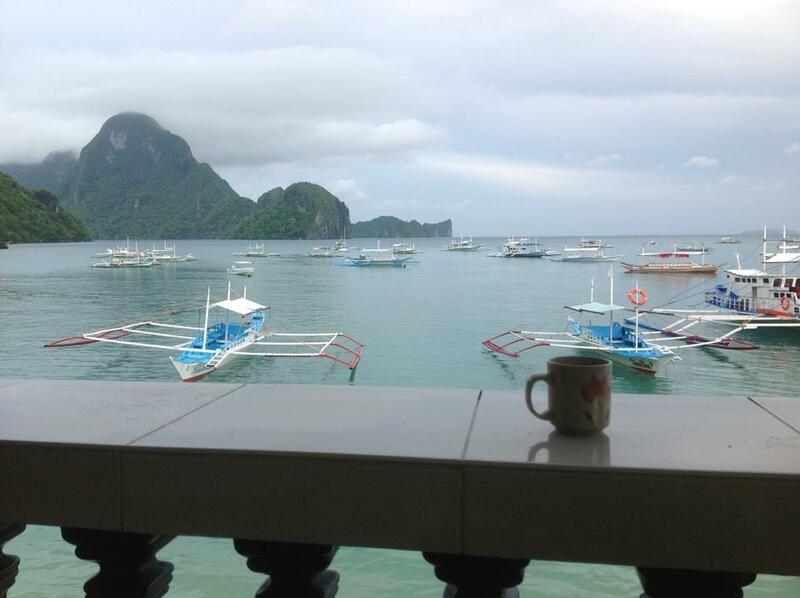 But perhaps, that was because thoughts of El Nido still lingered in our minds. It is a very difficult place to forget. PS Stay tuned, as my next blog post shall cover what other hidden gems the Philippines has!